We think its so important that you feel like you have a closet thats functional only filled with with things you love! You know the saying, less is more? We believe it to be true! When you have a closet of clothes that aren’t in color order or an overwhelming amount of clothes that are all similar, it leaves you feeling unsatisfied. 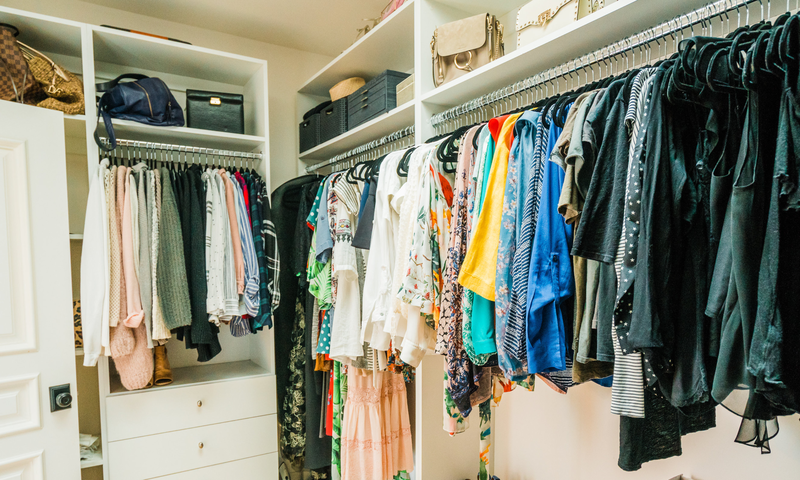 Then, you think this to yourself, “I have nothing to wear!” To avoid the dreaded feeling, what we suggest is to buy things that make sense together (outfits) and to do a closet edit once a year. 1. Keep the colors in your closet together. Sometimes we get asked if it matters long sleeves with short sleeves long dresses with short dresses? My opinion on that is it looks a lot cleaner keeping colors together vs style of the items. Keep sections in your closet organized by type ex: Jeans, Tops, Jackets all together. Then, organize it by color within those sections. Voila! You are off to a great start. 2. If you haven’t worn an item in over a year or two, ask yourself why. Is it the style? Is it the fit? Can it be tailored? If your answer is, I do not know how to wear it, Pinterest is a great option for ideas on how to pair that specific item with something. You can get some ideas from our page. If it doesn’t fit because it’s too big, then maybe it needs to be tailored with our friends of Hemster . 3. When you can’t tailor the item and it’s outdated, not in style and it just is down right not flattering, I say take a hard PASS on it! We call that a donate item! 4. Wishlist items should be last on your list. When you now have edited what doesn’t work for you, its super clear to see what you need (insert: sigh of relief!) Make a wishlist for yourself of the things you now need. We have a whole way of edited, so email us should you need anything! 6. Keep your closet consistently edited! When you put new clothes in, it’s a good time to evaluate the things you now have. What is worth keeping and what is worth donating? #constantdebate!